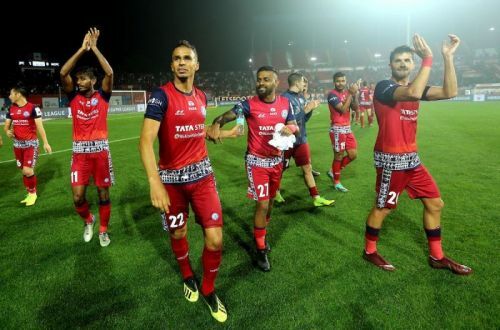 Jamshedpur hosted Bengaluru FC in their final match of the season which was also happened to be their final match at home. With nothing but pride to play for, Jamshedpur went into this match with a 0-0 draw against Chennaiyin FC in their previous encounter which put them out of the top 4 race. Bengaluru on the other hand, having already sealed their playoff berth, visited Jamshedpur for the first time as the last year’s encounter between the two sides was held at the Kalinga Stadium in Bhubaneswar. The game started with Bengaluru FC fielding a fairly young side with their Tata Academy player Rino Anto donning the captain’s armband for the first time this season. The Bengaluru side also marked the least number of foreign players in the starting XI, with only Luis Lopez and Xisco being the only foreign representation in the Bengaluru squad. The scores opened with Bengaluru taking the lead in the 16th minute of the game, courtesy a defensive lapse from goalkeeper Subrata Pal and defender Augustin Fernandes to which youngster Boithang Haokip made no mistake to see the ball the back of the net. The equaliser came from Jamshedpur just minutes before the halftime following another defensive howler, this time from Bengaluru goalkeeper Soram Poirei who spilled the ball in front of Augustin Fernandes who in-turn put the ball past the goal-line from a very tight angle. The second half opened the floodgates for Jamshedpur as they scored 3 goals in 90 seconds to take an assailable lead in the match. 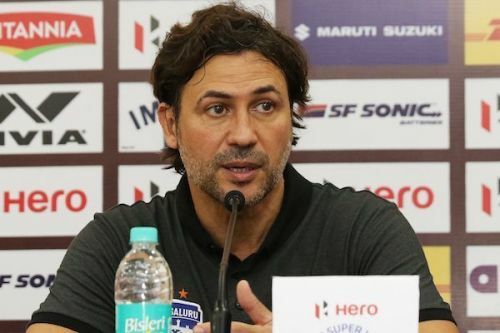 Another goal from Carlos Calvo, three minutes later, put the final nail in the coffin for Bangalore, handing them their biggest defeat in the Indian Super League history, finishing off with a scoreline of 5-1. Having already been qualified for the playoffs, Bengaluru were expected to rest the important players in the team and that’s what they did in today’s game. Coach Carles Cuadrat fielded a young and a rather inexperienced side by resting some of the senior players in the team with the likes of Gurpreet Singh Sandhu, Sunil Chhetri, Udanta Singh, Dimas Delgado, Albert Serran, among others given rest before the all-important knockout stage of the tournament. This also opened up the opportunity for Bengaluru to test their bench strength in case any first team player gets injured or has to sit out for the semi-finals or the finals. Even with the 5-1 thrashing coach Carles Cuadrat won’t be bothering himself too much about the result as he could give some much-important game time to his bench, which showed a rather spirited display in the game, especially in the first-half. The likes of Sairuat Kima, Semboi Haokip and Gursimrat Singh were really impressive with their spirited display of football and can open up options for the team going forward in the pivotal stage of the tournament.